1-3: © Visa Rauste, 13-06-02. Syktyvkar, Russia. 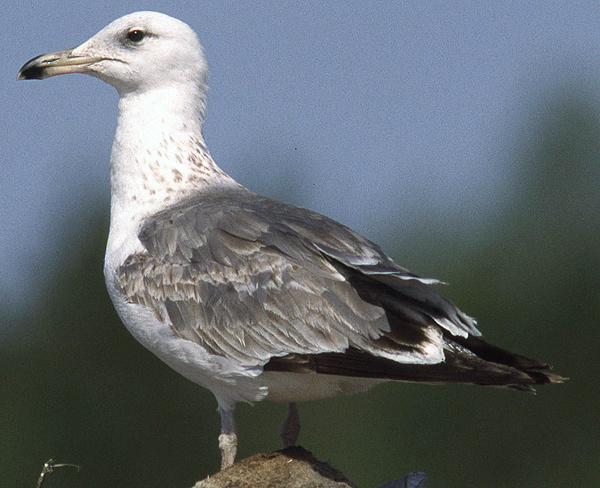 This individual represents a rather common type of 2cy Heuglin's Gull, at least if the Russian sample is representative. On the wintering grounds, it has undergone an extensive moult: all scapulars, nearly all wing coverts, all tertials, the tail and all secondaries have been renewed. Note than none of the ringed graellsii or intermedius on previous pages had moulted-in new secondaries on the wintering grounds. The plain pale grey scapulars, inner greater coverts and several median coverts could well be third generation feathers. 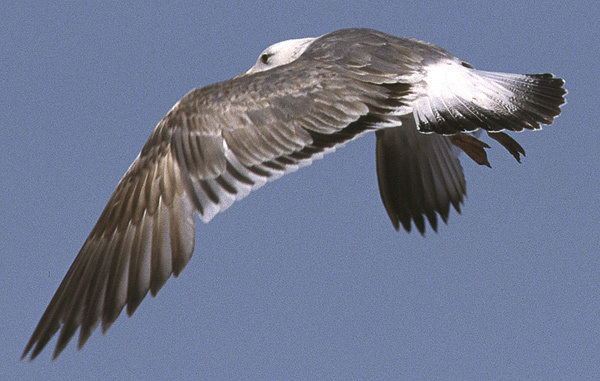 By mid-June, the complete moult has commenced: the juvenile P1-2 have been dropped. 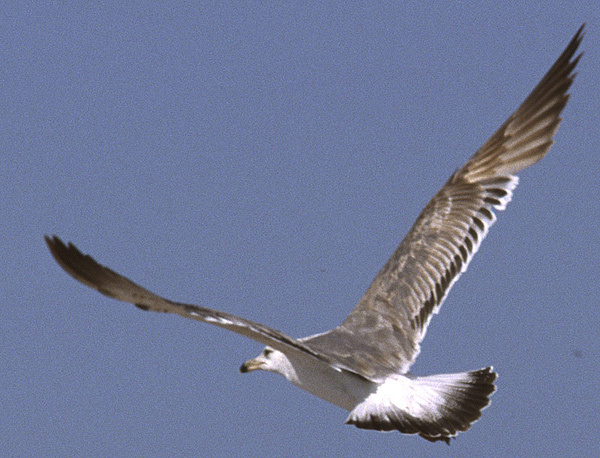 The head, underparts and underwing are white; some Caspian Gull-like streaking is present in the hind neck. The older, worn, non-juvenile scapulars are pale brown; the fresher feathers are plain pale grey with a bluish wash.